Listen, Portland. We love you. And we love pizza. So the Portland Mercury is teaming up with our pals Jim Beam, the Oregon's Finest, SPLIFF Film Festival, and dozens of local pizza shops to bring you the fourth annual Portland Pizza Week—featuring $2 slices! Here are all the locations where you can get a $2 slice April 15-20. RSVP on Facebook for live updates. The slices and map will be online soon. And don't forget that the final day of Pizza Week is also the first ever SPLIFF Film Festival—a show made by stoners for stoners! Check out the trailer below and get tickets here. 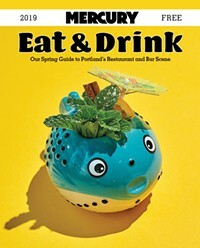 Click here for Portland's most comprehensive Food & Drink Calendar.